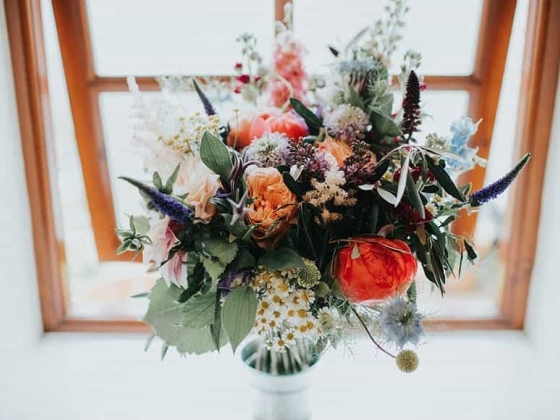 Herbert & Isles-we are a studio based florist near Beaconsfield, Buckinghamshire specialising in wedding floral design.Our natural, organic and wild style brings in a luxurious yet informal style finding inspiration from the nature that is around us and on our doorstep. 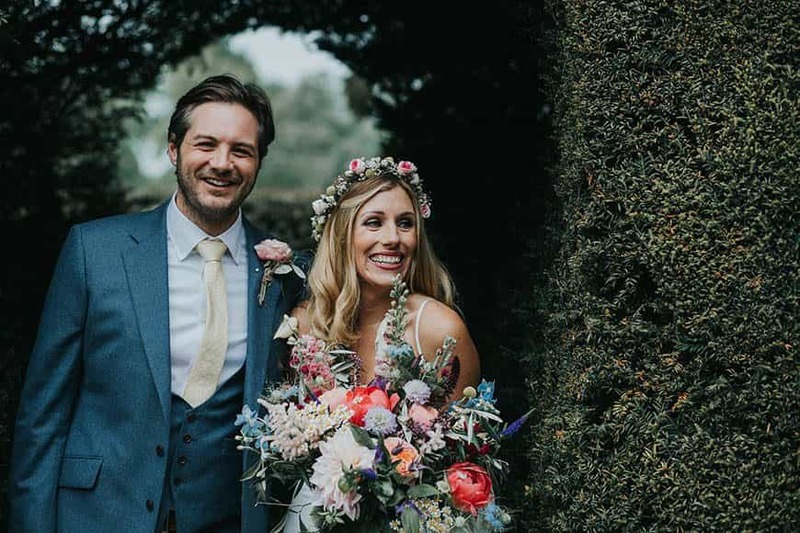 Sorcha and Charlotte (aka Herbert & Isles) combine a love for flowers, colour, nature and design and being involved full heartedly into our couples day! This is obvious as we wouldn't be in the industry if this wasn't our passion but what sets us out from the rest is that we truly want to get to know you better. 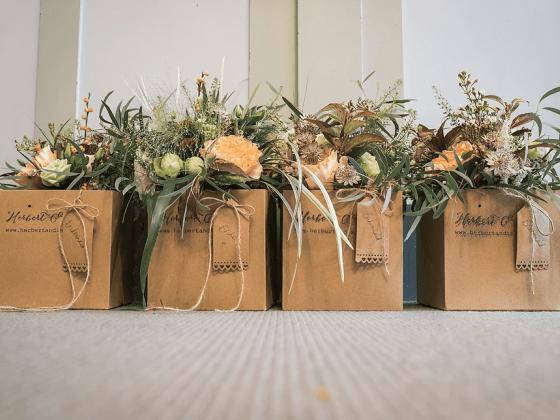 We find inspiration not only from our trips to the flower markets or what we are able to grow in our allotment but from our couples-each of you individually and with your own love story. Cheesy, mushy? Yes! 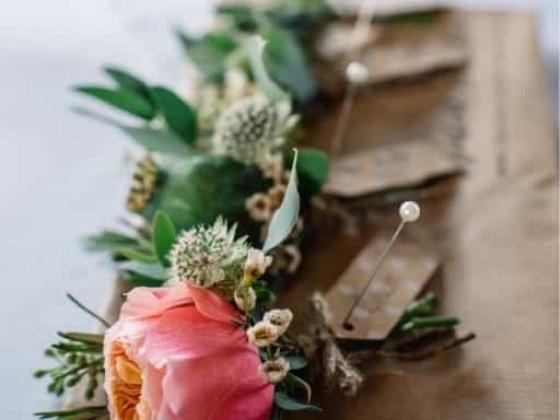 However we know that each of our couples is unique which is why we like to be influenced by you: your personalities, your likes and dislikes to create floral designs that will not only wow your guests but will leave everlasting memories. This means we like to meet you face-to-face (where possible!) so we can get to know you a little better and put that personal touch on your wedding day. As well as offering advice on flowers we can also advise on colour, design and how best to use the space you have. 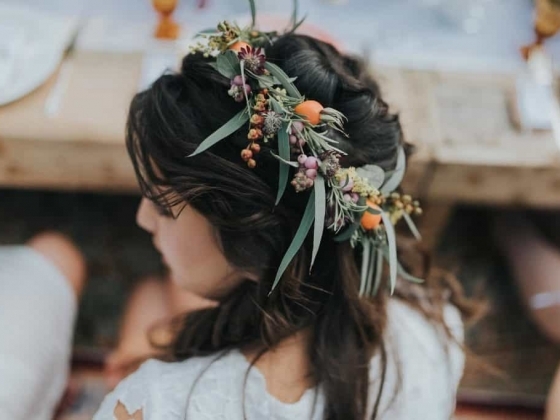 Designing wedding flowers for intimate dinners to large scale party, we can cater for bridal party flowers of bridal bouquets, maids bouquets, and buttonholes to an extensive venue re-design of hanging garlands, floral archways, large pew end designs and more! 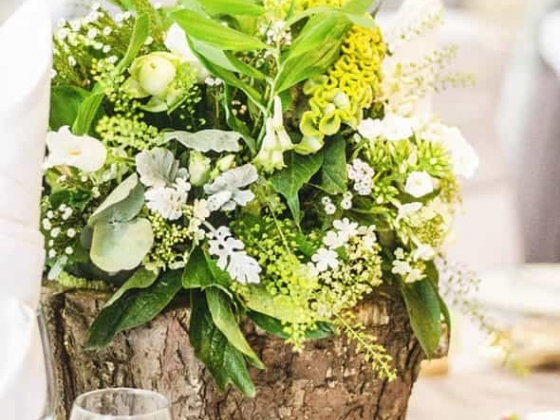 Whether your wedding is a small, select affair or a flood of guests we will put our time, passion and love into making sure your wedding flowers are nothing less from perfect. Together we have over 10 years experience creating stunning and bespoke designs for our couples so be rest assured you are in good hands! We are located about halfway down Lillyfee Farm Lane. You are welcome to pop in but we are florist who are sometimes on the move but please call in advance to avoid disappointment. 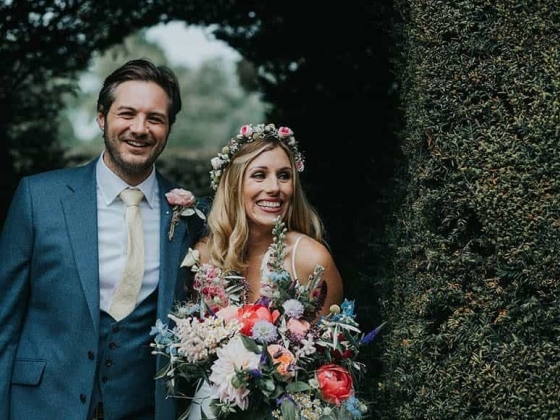 Charlotte and Sorcha of Herbert and Isles created the most marvellous floral displays at our wedding. They listened carefully to what we wanted and exceeded our expectations with their beautiful work. 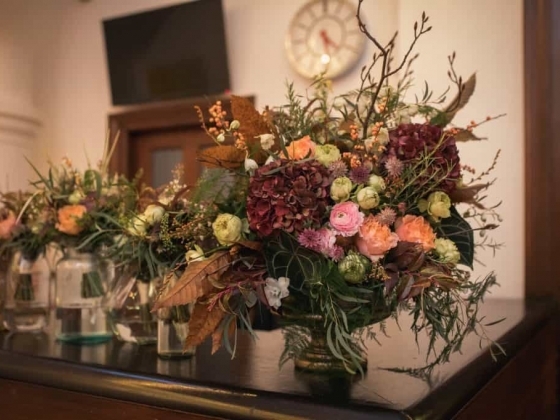 The subtle antique tones of the flowers were exactly what we were looking for, fitted in with the formal venue (Stationers’ Hall, London) and gave the whole day a magical Midsummer Night’s Dream ambiance. There were flowers everywhere! I wore a beautiful flower crown and carried a stunning bouquet. The wedding party had individually designed button holes, corsages and flower wands. 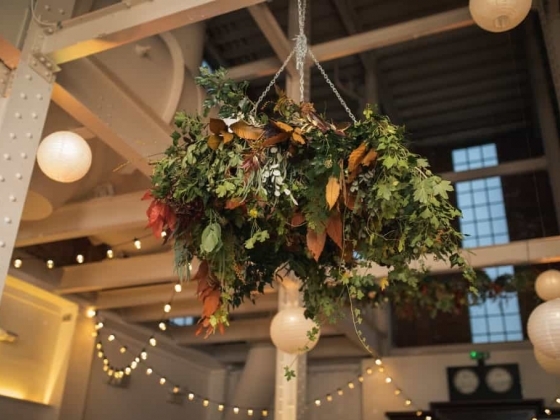 Sorcha and Charlotte were able to create the floral displays cleverly so they could be used in more than one location throughout the day. 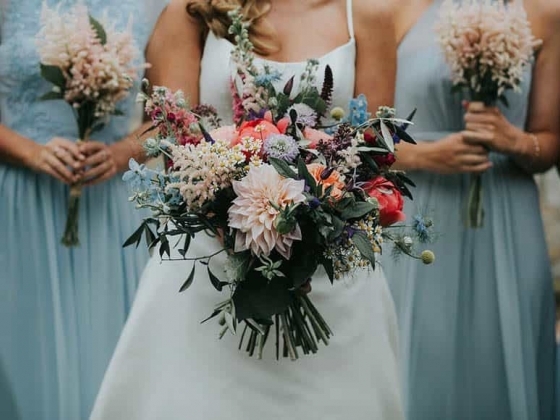 People who worked at the venue described our wedding as the most beautiful they had seen and our guests still talk about the fantastic flowers. We couldn’t have asked for more! Throughout the process Sorcha and Charlotte were easy to work with, responded quickly to any questions and were totally trustworthy! I also used Herbert and Isles at my hen do. All of the hens made beautiful bouquets following expert guidance from Sorcha and Charlotte. My dining room was a riot of colour, laughter and prosecco. It was great fun and super value. I would absolutely recommend Herbert and Isles. Organising for a huge wedding (about 450 guests!) in 6 months wasn’t exactly smooth sailing, however we were so happy with the service provided by Herbert and Isles as it was one less thing to worry about. 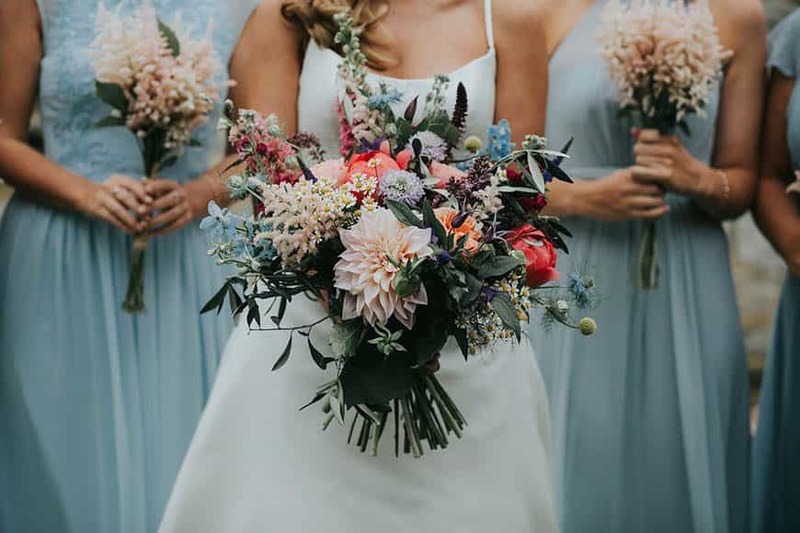 They know the flower business really well, they’re really passionate about it, and were keen to know our requirements from the outset. Having described what type of flowers we like, they sent us photos of different arrangements for our opinion and approval. They were totally upfront about costs. Most importantly, they delivered on the day and exceeded our expectations. Our reception hall looked stunning with amazing flowers arranged beautifully in vases (tall and short) across 37 tables. 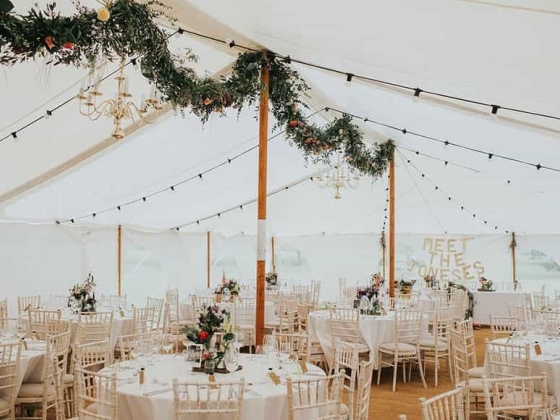 As professionals, this was probably easy for them – but I’m still staggered how they managed to pull this off in time (the venue had to be ready for 1pm!). They also provided beautiful flowers to arrange over our ‘semi-naked’ wedding cake. We received so many compliments from our guests on the flowers. If were to get married again (though once is enough!!) – we would pick Herbert and Isles again! We wanted to say a HUGE thank you to Charlotte and Sorcha for the BEAUTIFUL flowers they did at our wedding! We couldn't have asked for anything more beautiful - they looked like something out of a wedding magazine or blog! 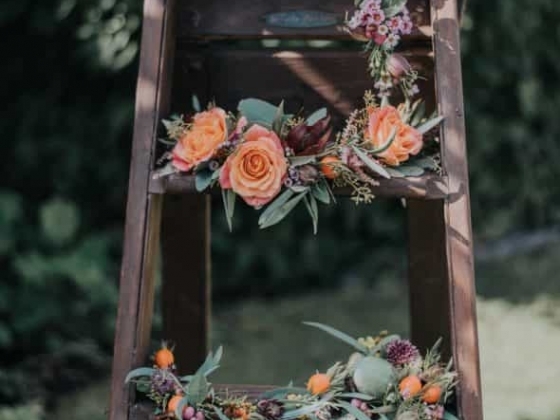 On top of this, Charlotte was very patient with me changing my mind several times across the year on colour scheme and flowers and even put together a Pinterest board so we could share ideas. Thank you for making our day so special!